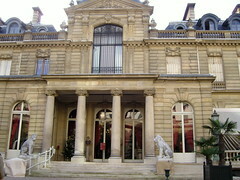 From 25 March to 11 July 2011, the Jacquemart-André Museum is presenting The Caillebotte brothers’ private world. Painter and photographer. An encounter between Impressionism and photography, this exhibition evokes the artistic and private world of the Caillebotte brothers. Okay….who’s going or wants to go?